...is the creative force behind Debbie Wolk Designs. 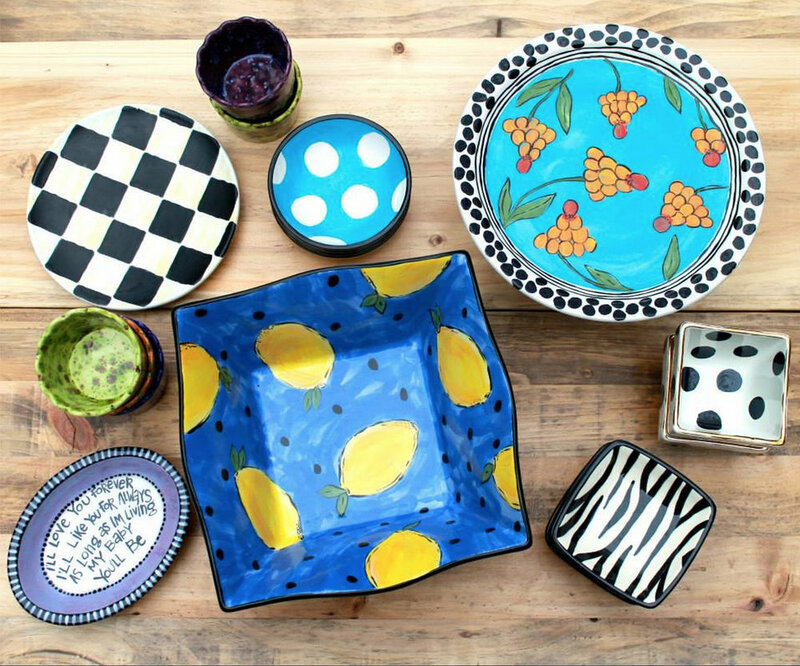 She creates hand painted ceramics with lots of possibilities for personalization. She prides her work as great original gift ideas for birthdays, weddings, holidays, home accessories and much more. I have lived in Minnesota all of my life and have always been grateful for my strong ties to the local community. My Minnesota roots have inspired me to create in a way that encourages others to share in their feeling of Hometown pride! What do you hope your products add to the ‘Made in MN’ community? A sense of home and pride in our community, inspiring others and sparking our imaginations. Shopping local is crucial in continuing to stimulate the growth of locally owned businesses. The success of local our businesses attracts and encourages other entrepreneurs to start local businesses and to create art that is unique to our community to make Minnesota a destination. Truthfully, inspiration can come from the simplest of things. I can be inspired by any number of things that immediately get my creative juices flowing. I think it is important to be open to possibilities and explore outside of your own limitations by looking to other creative souls for further inspiration. This can help me to expand what I am currently working on and think outside of the box. It can be through social media such as Pinterest, images I capture in photographs, travel, and often times through my family and community. I find that when I am not creating, I feel less fulfilled and crave the stimulation that comes from making something that will make me or others feel happy. This can be my ceramics, cooking, decorating my home, photography, and even working on art projects with my kids. Anytime I finish a project, I feel a sense of satisfaction knowing that it may have impacted someone else’s day. The process of creating gives me a sense of fulfillment. But the outcome and the affect it can have on those who appreciate it is where the true satisfaction comes into play.